Z-Man Games, Dyskami Publishing, Fantasy Flight, and Catalyst Game Labs have all just announced their newest games. Each game is a different style of game, ranging from Dragonfire, a Dungeons & Dragons-themed deckbuilder, to Valletta, a strategic city-building board game. Fantasy Flight Games will be releasing Blood Bound, a vampire-themed social deduction board game in the third quarter of 2017. The conceit of the game is that each player belongs to one of the two rival clans. Each clan is attempting to figure out who the leader of their enemy’s clan is and capture them. Each player is dealt a character card which will tell them which clan they belong to, their rank inside the clan, and their affiliations. There is also a clue icon in the bottom right that everyone must show to the player on their left. This clue is often the same icon as your clan, but not always. So at the beginning of the game, everyone starts with a bit of information, but no one truly knows what other players are in their clan. And while they know their own rank number, they will not know if their other clan members are ranked above or below them. In other words, no one will be certain who the clan leaders are. A player is randomly assigned the dagger token, which denotes the active player. That person can choose to either attack another player or pass the dagger. 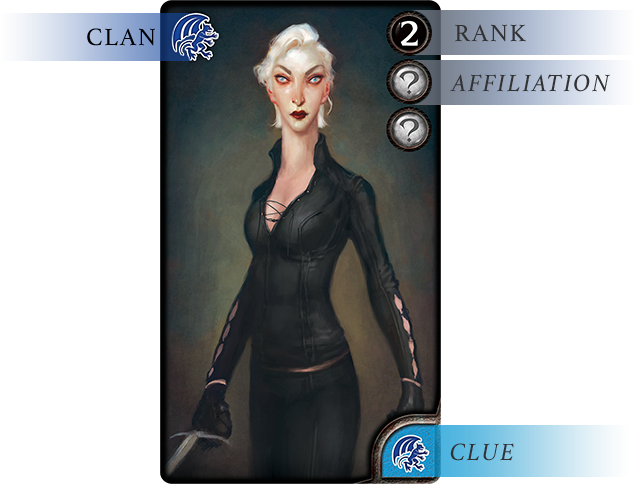 If you attack, the player that was attacked must reveal information by claiming a token that matches one of the symbols in the upper-right hand corner of their card. They can choose to claim either their rank token or one of their affiliation tokens. It is dangerous to reveal your rank number, because this will give the rival clan clues as to who may or may not be the clan leader. But there is a benefit to revealing that information as well. Each player has their own special ability, and it is triggered when you reveal your rank. The person attacked then takes the dagger and can choose to attack or pass that dagger. And the game continues until a clan leader is successfully captured, or until one clan makes captures a rival clan member who is not the clan leader. If a team captures someone who is not the leader, that team loses immediately. If you play with an odd number of people, an Inquisitor is introduced to the mix. The Inquisitor has their own rules, and they are trying to bring down all of the vampires. If they manage to win, both of the vampire clans lose. 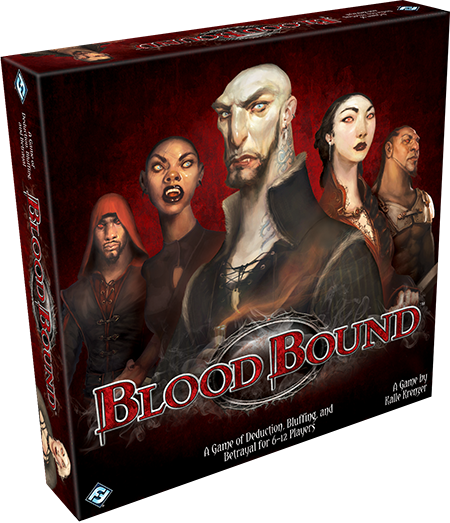 Blood Bound is for 6-12 players, takes 15-30 minutes to play, and will cost $19.95. Fantasy Flight says the game will be available in the third quarter of 2017. Sailor Moon Crystal Dice Challenge by Dyskami Publishing is based on the game Button Men by James Ernest and Cheapass Games. 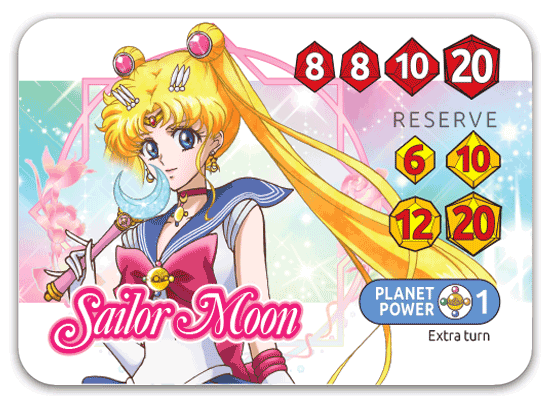 Set in the Sailor Moon Crystal universe, Sailor Moon Crystal Dice Challenge gives you the option to either go into a head-to-head battle or to play in teams. For the head-to-head option, each player will pick one of the 24 included Sailor Moon Crystal Characters (there are heroes and villains to choose from). You then face each other in battle. Each player will be rolling dice and using them to try to capture the other player’s dice to then gain points. The winner gains a victory point, while the loser of the round powers up and becomes a stronger opponent. The first person to win three rounds (it’s a best three out of five scenario) wins. If you’d like to make the game more than a two-player game, there are two different options. You can play the game as a single combat teams or you can play as tag-team combats. The game also has tournament rules to accommodate large groups of players. 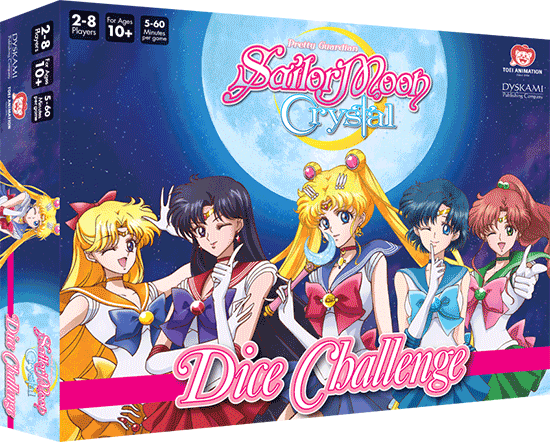 Sailor Moon Crystal Dice Challenge is for 2-8 players, takes about 5-60 minutes to play, and will cost $29.99. Dyskami Publishing says the game will be out in late summer 2017. 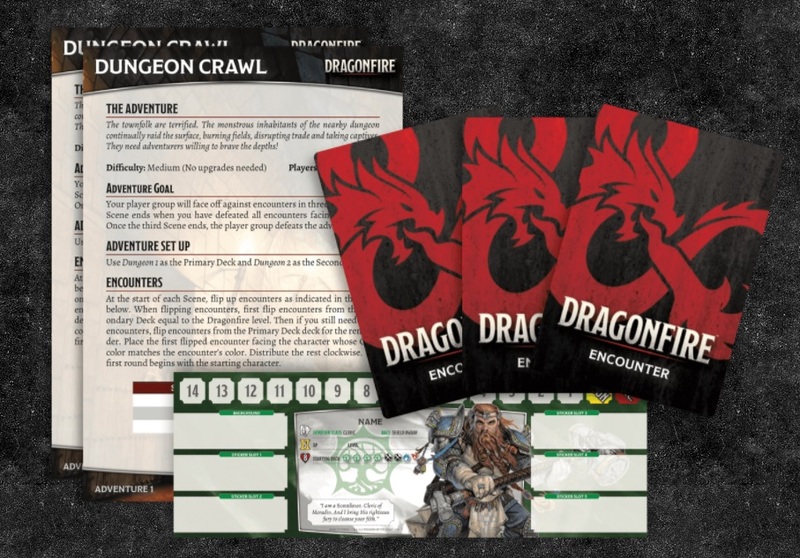 Dragonfire by Catalyst Game Labs is a Dungeons & Dragons deckbuilding game that’s built on the Shadowrun: Crossfire engine. Players will get to choose a classic D&D race and class and then adventure along the Sword Coast. Players will have the option to either play the game as a quick adventure or as a long-term campaign. They will be equipped with weapons, spells, and magic items as they adventure through the Sword Coast. As each adventure is completed, you will be able to level up your characters, with options for more equipment, feats, and more. Catalyst Games has also said they are already planning expansions that will take players to areas within the Forgotten Realms like Bladur’s Gate, Neverwinter, and Waterdeep. They are also planning to release a magical items expansion deck and a character cards expansion pack that will include new races and classes. 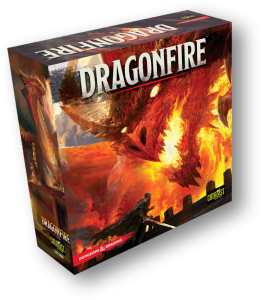 Dragonfire is for 3-6 players and will cost $59.99. So far Catalyst Games does not have a projected release date. 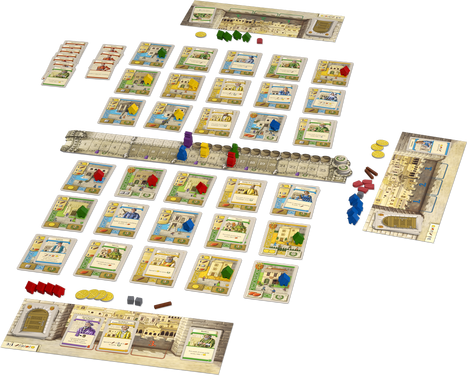 Z-Man Games announced Valletta, a worker placement, resource management, deckbuilding game about building the city of Valletta. You and the other players are competing for the most victory points as you all work to build Valletta, the capital of the island of Malta. Each player starts with an identical deck of cards, which includes brickmakers, lumberjacks, shopkeepers and other craftsmen. These cards will provide you with the resources you need to start constructing buildings. Each building constructed earns you more victory points. These buildings can even earn you more resources later, depending on the cards you play. Building structures will also let you add more cards to your deck. These cards make you more versatile and are more powerful than your starting deck. 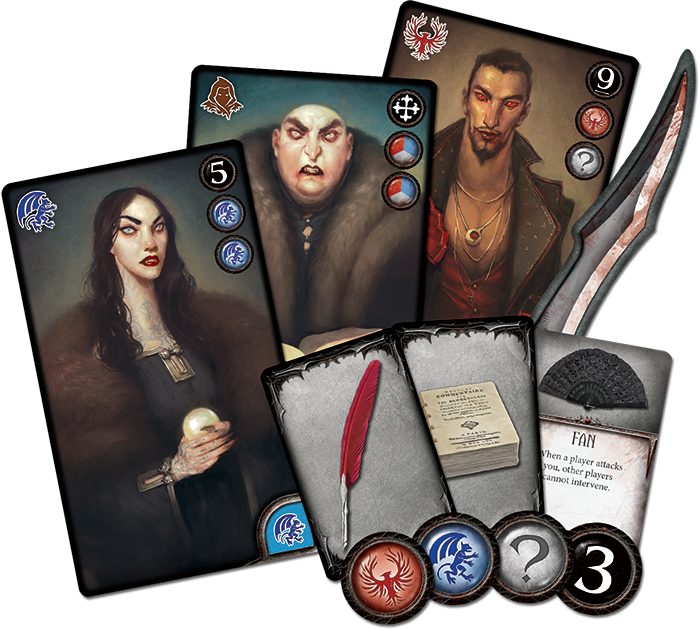 Each turn a player will choose three cards out of the five in their hand to play. Cards are resolved in the order they’re played, opening up lots of opportunities for different strategic plays. There are also different ways to reshape your deck. 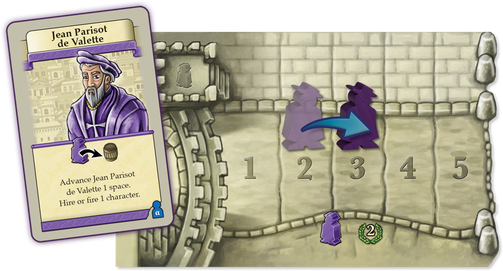 If you play a Jean Parisot de Valette (the man who commissioned the building of Vallette) card it allows you to remove a card from your hand. Playing his card will also move him along his track, which indicates which part of the city he is in. If you build in an area that de Valette is currently in, you receive two bonus points. But you need to be careful with how often you play his card. The end of the game is triggered when he reaches the end of his track. 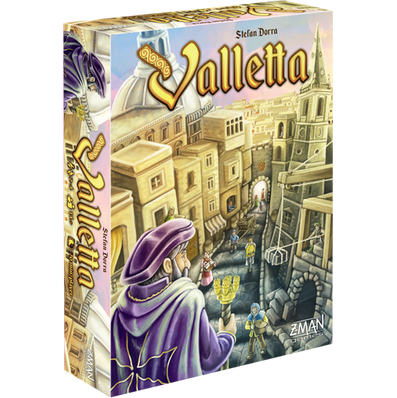 Valletta is for 2-4 players and takes about 40-80 minutes to play. There’s no word yet on how much it will cost or when it will be released.